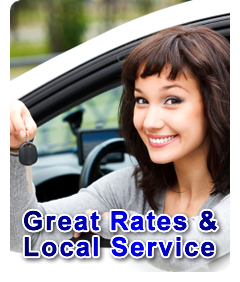 Renting Cars in the Pensacola Area Since 1990! Have you ever wondered what it would be like to find a place where you could rent a reliable car at a better rate than the national brands? Now you can! Guardian Rent-A-Car is Pensacola’s go-to value car rental company. We offer a wide variety of today’s most current makes and models at super-low prices ! Making a reservation is easy! Simply fill out the form above, choose your car category and you’re done! No hassles, no runaround – just a fast, convenient and easy way to rent a car with no strings attached. When you’re in a pinch, we’re here, ready to put you into a car when you need it the most. Flying into Pensacola International airport? A 15 minute, $20 taxi ride can save you up to 50% off of airport car rental pricing, and we offer free transport back to the airport during normal business hours. We offer free local customer pick up off airport and are located next to the military bases and hotels. That way, you can get to where you’re going quickly and conveniently. We’ve helped people rent cars in the Pensacola area since 1990. Whether you’re traveling or looking for an insurance or body shop car rental, we can help put you in a car with less hassle and less cost than ever before!